Father John Misty, Fear Fun: The reborn sounds of Laurel Canyon continue to gain steam. Father John Misty writes laid-back folk pop a la the Mamas & the Papas or CSNY; even his voice seems like a throwback to early 70s radio. Fortunately he’s not just imitating a sound—his songcraft is impeccable and his wit cuts off any tendencies at over-earnestness. Converge, All We Love We Leave Behind: Metal and punk should get together more often. The genres share an emphasis on speed, loudness, and defiance, but cultural differences in their origins usually keep punk and metal far apart. Converge weds punk brashness and noise to the breakneck mosh of thrash and even throws in some virtuosic math rock for good measure. Of Monsters And Men, My Head Is An Animal: Man, there’s something in the volcanoes in Iceland. 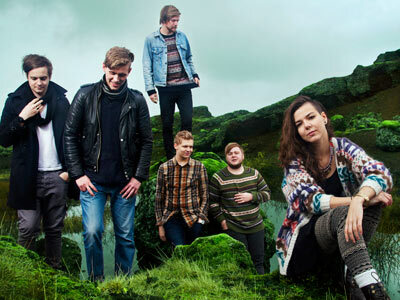 There just aren’t that many people there, yet the island nation keeps breeding up great acts like Bjork, Sigur Ros, Jóhann Jóhannsson, and now Of Monsters and Men. Romantic, sophisticated, and assured, this album weds grand chamber pop to fun, shambling folk. Truly an outstanding debut. Bob Mould, Silver Age: Bob Mould in a trio playing loud power pop? Cool, it’s 1992! Silver Age is very similar to Copper Blue, Mould’s first album with Sugar. There is no bad in that—this new album is everything modern guitar rock should be. Macklemore and Ryan Lewis, The Heist: This is the hip hop album that I keep going back to this year. 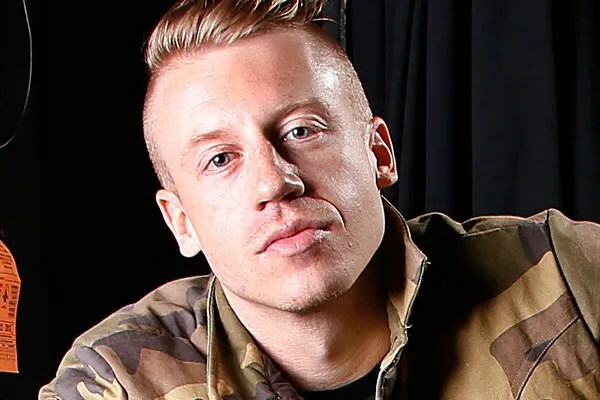 Confessional and honest, Macklemore concerns himself here about manliness in the best sense of that word. He’s got great flow and a unique voice in modern rap that can speak to struggles with alcohol and fun in thrift shops on the same album. Café Tacuba, El Objeto Antes Llamado Disco: One of indie rock’s absolute best bands, but not well-known in the States because they’re Mexican. Café Tacuba are long-time veterans of the music scene with twenty years’ worth of recording under their belts. Never content to rest on their laurels, this album brings bold new production and a 21st century sound barely recognizable to fans of their early work. Field Music, Plumb: Sometimes it’s a fine line between delicate chamber pop and swaggering prog rock. Field Music tap dance on both sides of that line, recalling both XTC and ELP. It’s complex pop music that remains accessible and satisfying. If only more music like this made it onto American radio stations! Martin Rossiter, The Defenestration of St. Martin: For fans of Antony & the Johnsons and other heart-renders. Rossiter’s songs sound like solo Morrissey pieces with a wider sense of melody. Confessional, adult, and deeply touching. Julia Holter, Ekstasis: Beautiful, delicate, literate, and layered, Ekstasis is contemporary art song as much as it is indie pop or post rock. It’s an album that rewards careful listening. Holter reminds me of no one so much as a young Laurie Anderson, and I hope that bodes well for her career. First Aid Kit, The Lion’s Roar: For my money, the feel-good music story of the year. Talented sisters who nurtured a love for American folk rock in the snows of Sweden, the Söderbergs started recording and putting out YouTube videos as young teenagers. It took a few years of records and touring, but The Lion’s Roar broke the act to real success. It’s a gorgeous album, and one that I’m sure I’ll be listening to for years to come. Joe’s favorite music of 2012, or see below the cut to look at a list. I know that not everyone has/uses Spotify, the software I’m using lately to build playlists of the music that gets me revved up. Below is a simple text list of my favorite albums of the year.